Lightguide Plate PC Membrane Press (PC -500) - Yih-Shin Industry Co., Ltd.
As a non-self-luminous display device, LCD makes use of external light source to show images, such as backlight modules widely used in the appliances of LCD, which the lightguide plate is its main module component. At present, the production of the thin light guide plates is mainly in the use of injection molding machine to make mold products. Before completing molding, it takes 6 - 8 hours as needed to progress in the plastic treatment, including dehumidification, drying, softening, etc. 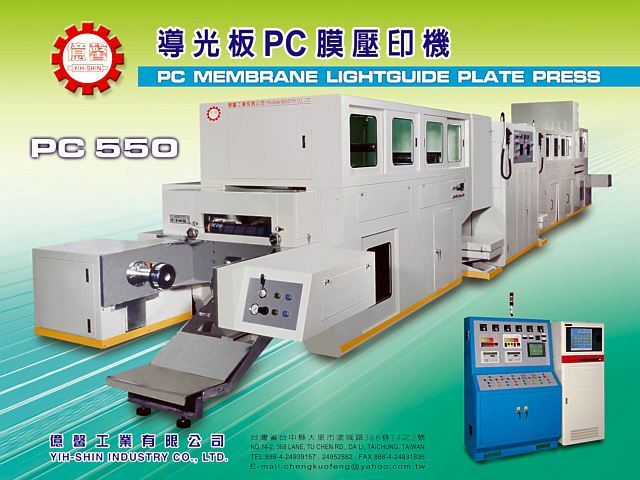 After years of research and development, we proudly produce the type of lightguide plate PC membrane press. 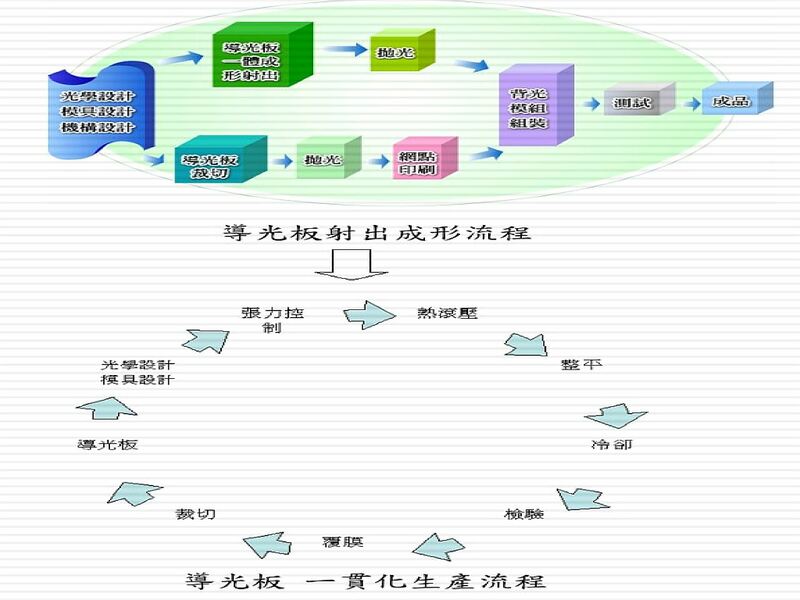 Low production costs, high quantity production, high stability & high quality. Production: PC film (0.4m/m to 0.85m/m), PMMA film (0.4m/m to 1m/m). Production mode: Drum-type (200m to 800m x width 480m/m). LGP specifications are not subject to the limitation of size, can reduce the of unnecessary distress.